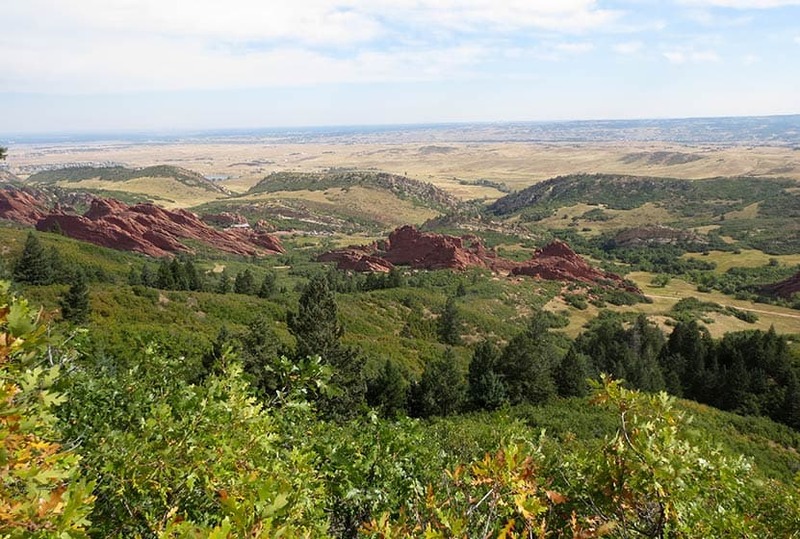 The hike up Carpenter Peak in Roxborough State Park is a strenuous 3.1 mile journey (one-way) to a foothill summit that overlooks the red rock formations of Fountain Valley. 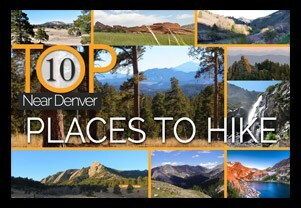 You’ll also gain 360 degree panoramic views of Denver, east to the plains, and west to distant snow-capped peaks. 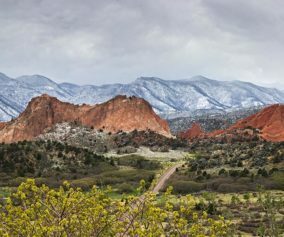 In this Colorado trail profile, you’ll find driving directions, trail map, and more tips and details to help you enjoy this adventure in Roxborough State Park. The last two miles of access road into Roxborough State Park are a maintained dirt road, but it can get washboarded and can be tough on the car. Still, it’s not a long drive in. Undulating green hills can be seen in the east where deer and antelope graze. 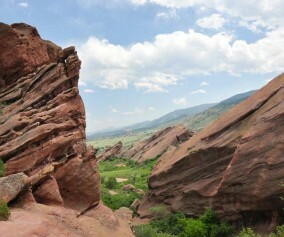 Roxborough State Park can fill up during it’s busiest hours on the weekend. If that’s the case, you can wait until enough vehicles exit the park then drive in. The peak times appear to be are around 10AM-2PM on the weekends. 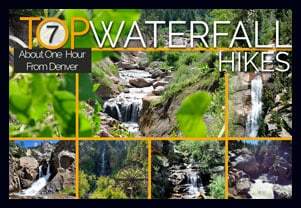 If the line looks long, you can always turn around and head over to Waterton Canyon or to South Valley Park–both are great options. 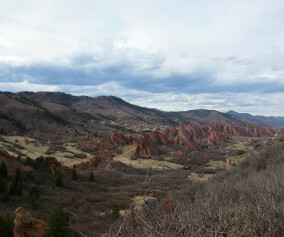 The hike up to Carpenter Peak begins just southwest of the Roxborough State Park visitor center. 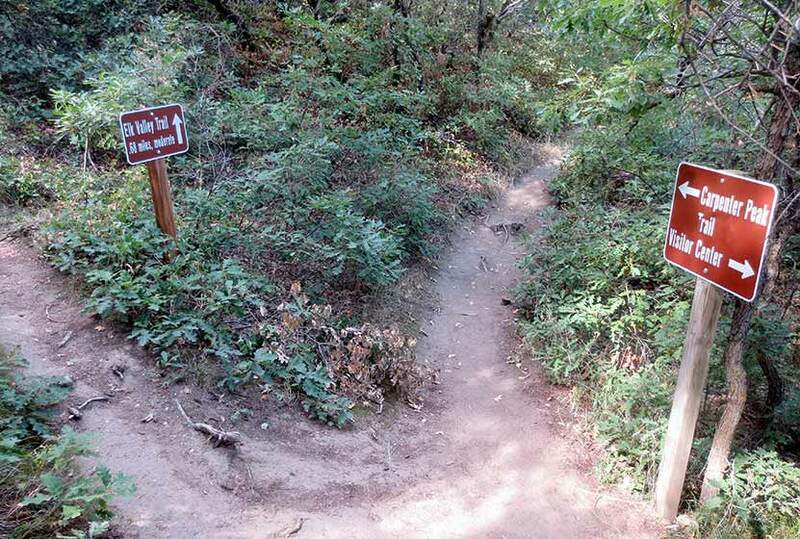 Clear signage marks this access to Carpenter Peak, the Willow Creek, and South Rim Trails (pictured above). Soon the trail enters a corridor of scrub oak which provides shade for this first short segment of the hike. There is a great deal of poison ivy in this corridor, so be sure to avoid going off trail. 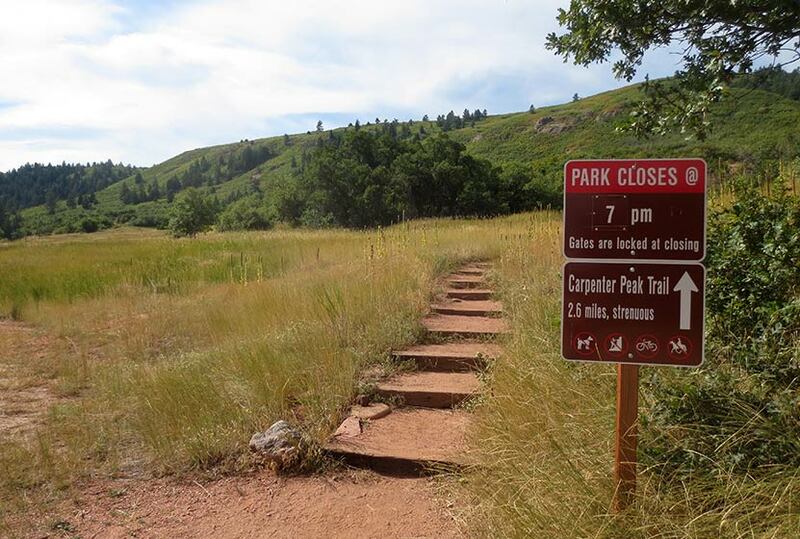 Just short of 0.5 mile into the hike, the trail will open up to a large meadow among the red rock. Continue following the signs for Carpenter Peak. The trail will soon cross a dirt road and begin its way west. This is the most steep and demanding segment of trail. 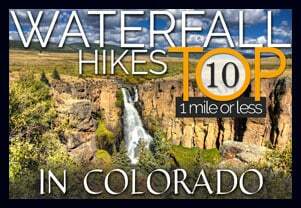 We’ve classified this as a moderate hike in difficulty, but for those who are from out-of-town or who are not in the best of shape, it may be considered difficult. At 1.7 mile, the trail will come to a Y intersection (pictured above). The trail to the left leads to Elk Meadows, and the trail for Carpenter Peak leads to the right. 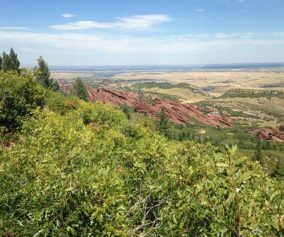 The trail now winds along the hillsides with switchbacks that open up to expansive views of the red rock formations that make Roxborough Park Denver’s Garden of the Gods. After gaining the ridge at mile 3, hikers will encounter a final intersection. Again, there is clear signage pointing the way right to Carpenter peak, now just a few hundred yards further. 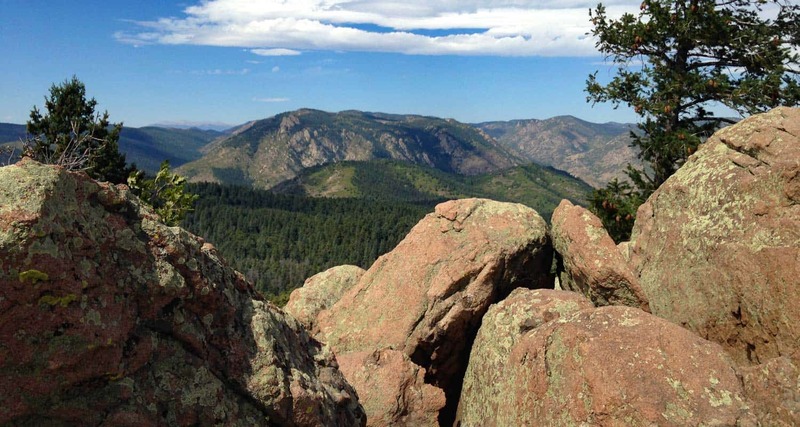 At the summit, you’ll be able to take in a 360 degree panorama of Denver, Roxborough State Park, the plains, and distant mountains in the west. 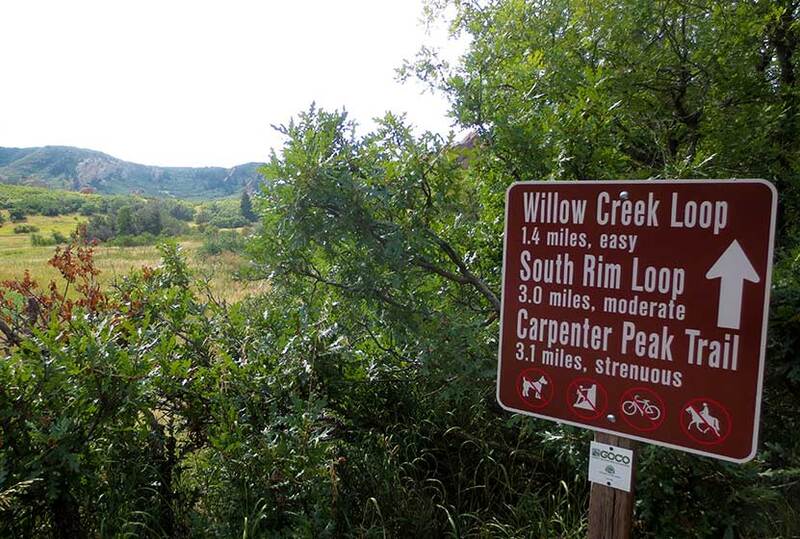 I particularly enjoy the views from here over to the mountains that surround Waterton Canyon. In the Spring and early Summer, a few western peaks will still still show their snow caps. The return route follows the same trails back down to the visitor center. Posion Ivy: Because there is a significant amount of poison ivy that grows out to the edges of parts of this trail, it’s wise to wash your clothing soon after your return home as poison ivy can affect people by indirect contact. Hiking in Winter: If you plan to hike Carpenter Peak in the winter, it is advised that you have traction devices like YakTrax because much of the trail will be in shadow, and ice will likely form on the trail.